The contico 24 Litre Utility Bucket is ideal for use with the contico combo sponge and window cleaning sleeves. 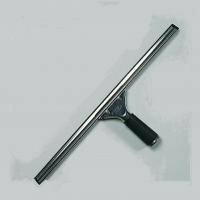 Made from stainless steel these squeegees are rust free and fitted with the finest quality moulded squeegee rubber, for a streak free finish. The professional workhorse made from stainless steel. These squeegees are rust free and fitted with the finest quality moulded squeegee rubber, for a steak free finish.